Woohoo! Cheers to trying out new things despite looking like a couple of crazy nitwits! Haha! Rollz and I have been cooking this VLog ever since we stopped our Podcast due to increasing work load at our day jobs (we both teach in high school). We finally got around to doing it, and though this will be plenty difficult to do on a consistent basis, we’re hopeful we can push on and publish with regular frequency. 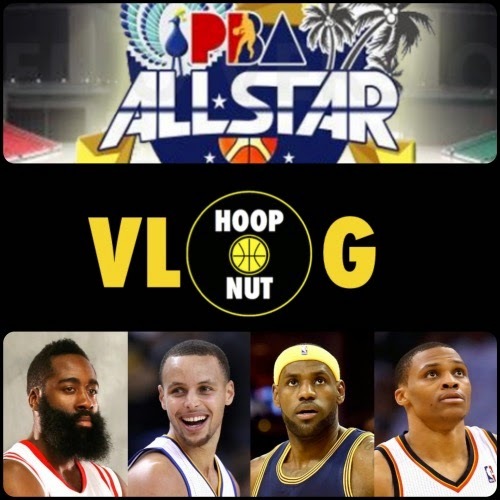 Anyway, here in our inaugural episode, we talk about the 2015 PBA All-Star Weekend, the NBA MVP Race, and some guys who can be viable inclusions in the Gilas pool.